Cuba is jam-packed with color, life and history. 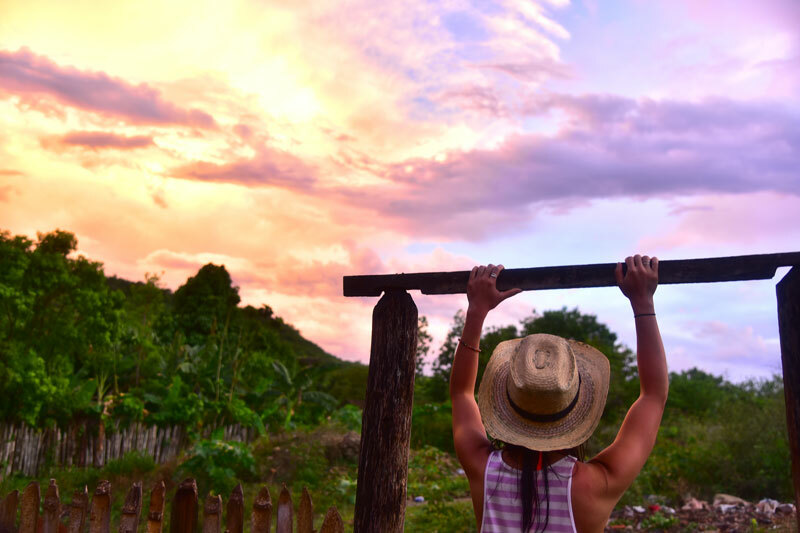 We’re bringing back one of our favorite trips and getting behind-the-scene with positive, energetic and passionate guides who will bring us through lesser-traveled routes and experiences only accessible with locals. Prices goes up $100 by April 15. This trip is offered in 4 days or 8 days. Admissions to Rum Museum, El Morro Castle, a cigar factory, El Nicho Waterfalls and a private catamaran ride. Additional activities like snorkeling, horseback riding, etc. Day 1: Arrive in Havana, drive to accommodations; dinner and night out in Havana. Day 2: Full day in Havana with our local guide who will guide us through the art, history, food and music of the city. Day 3: We'll have another full day in Havana––this time in Vedado area of Havana. Day 4: Morning drive to Trinidad. Spend the late afternoon horseback riding, visiting a hidden waterfall and passing by a coffee plantation. Day 5: Morning drive to El Nicho Waterfall in the countryside. We'll dip in the natural pools and stop for lunch in the mountainside. Arrive in the French influenced city of Cienfuegos at night. Day 6: Leisurely breakfast followed by a private catamaran ride with fishermen in Cienfuegos. Drive back to Havana in the afternoon. Group dinner in Havana. Day 7: Day n Havana to catch any sights you may have missed. Last group dinner at an award winning restaurant in the city. * Activities, the order events and locations may change without notice if there unforeseen circumstances like weather, etc. Any changes to the itinerary will be substituted with a similar activity. 72% of our travelers join a second trip or experience within a year of traveling with us. 85% of our travelers keep in touch a year after their first trip with Map&Move. Often it's much longer. 32% of people who've joined a Map&Move trip or experiences later volunteer to host post-trip reunions themselves. The tribe keeps growing! Our community of positive and adventurous travelers are the special sauce of our trips, and we’re grateful to have them. Read more about what they have to say about our trips here. We recommend bringing a backpack or duffel bag, since suitcases can be cumbersome and hard to store in our transport vehicles or under seats, etc. You’ll be carrying your bags in and out of accommodations. Our international trips tend to be around 8-12 people. We keep sizes small so you build tight bonds and get more attention from our local guides. What will my travel cohort be like? Our community is made of positive people with adventurous spirits who want to connect with others. They come from diverse backgrounds and have different levels of travel experience. How do you keep trips affordable? We strongly believe in a to the communities we visit, so we partner local communities to in not only benefits the local economy but also helps to keep costs lower than they otherwise would be. We partner with vetted guides and local operators to pass savings on to you. Your money is spent on providing an authentic, comfortable, and fun experience. Yes, you will be responsible for additional costs, but we can help you arrange additional accommodation at our starting or ending accommodations. Just let us know at least 2 months before your date of departure. Should I tip local guides and if so, how much should I budget? Tips are not included in the tour price and tipping is entirely at your discretion. We will go over this in our pre-trip chat. Yes, so long as we have details concerning what allergies you have / any dietary restrictions so we can accommodate. Yes, we take safety very seriously and work closely with our guides and networks to monitor travel advisories. Because we work so frequently with our guides we are agile in making quick changes as needed. As with all travel and physical activities, there’s an element of risk. Unfortunately, Map&Move cannot be liable for any harm to you or your belongings. But we make every effort to take precautions. So once you’re signed up for a trip, you'll be introduced travel cohort in advance so we can talk about safety how to prep how to take precautions and how to be a smart traveler not just for the trip you signed up for, but in life. Yes, we always leave some flexibility on the first and last days of the trip so you can meet the group later if your flight arrives after the rest of the group. You may miss some activities, so be sure to let us know so we can coordinate. If you arrive before or decide to stay later than the tour dates, you’re responsible for your own arrangements, as well as any costs associated with it. Is it legal for US citizens to visit Cuba? Yes, it is legal, but there are restrictions. 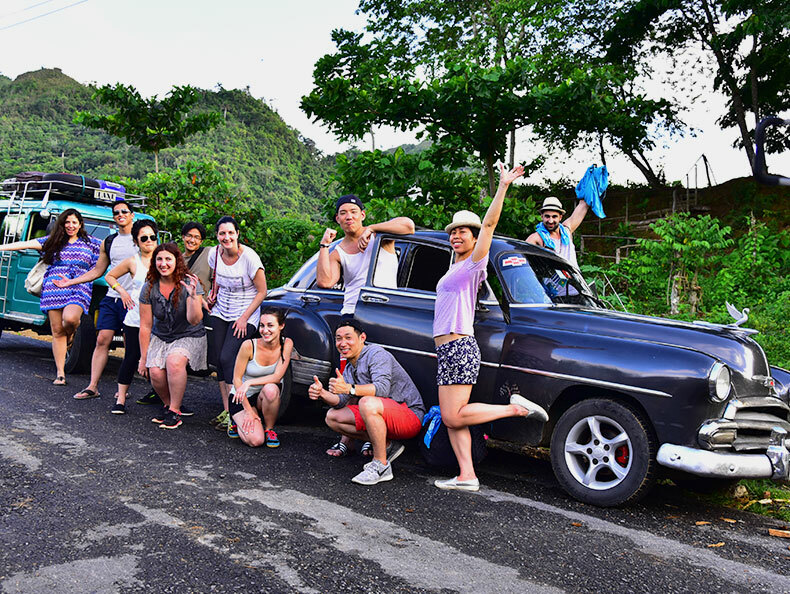 Individual travelers are still able to visit the country for the purpose of supporting Cuban people. Our itinerary and partnerships with local businesses and guides ensure that our trips fit all the criteria. Why should I go with you or any other group? While traveling to Cuba on your own is possible, you may not have access to or be able to find many experiences that aren't posted online. These are organized by locals and discovering these little secrets is what makes travel to Cuba so unique. Yes. Come alone or bring a friend. 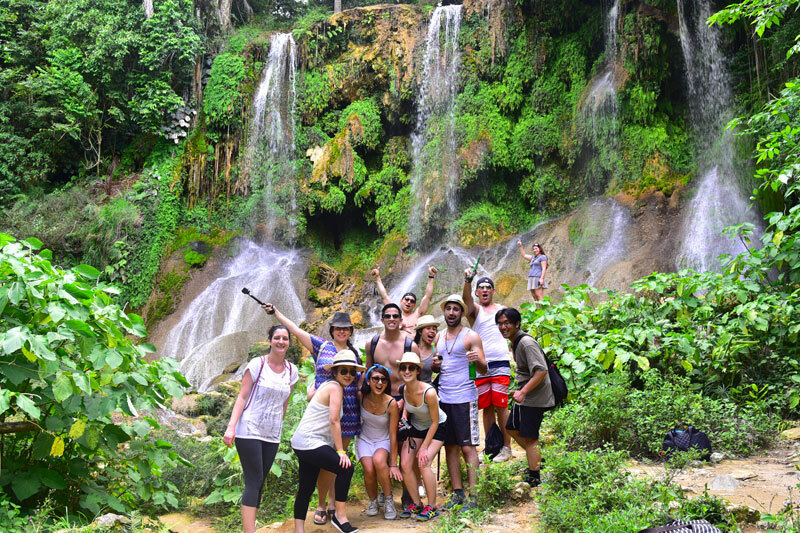 Our trips are a good fit whether you’re an independent traveler or you want to meet a whole new cohort of traveler. Our groups are designed for the safety, connection, and support. Therefore, there’s zero pressure to stick with the group anytime. What if I want to do something that’s not on the itinerary? So if you want to venture off to a museum or try a different restaurant, by all means: Do it! The group will only be expected to stay together for transportation between cities or anytime our guides ask that for safety. It’s not required, but we recommend it. Some credit cards already include some sort of travel insurance, so check the terms to see if you have any coverage. Travel Insurance is a site we like to find and compare affordable travel insurances. We’ll be staying in casa particulares, or private homestays. Rooms will be shared since we’ll be staying in local, private homes. What days and times should I book my flights? While our trips don’t include flights, we’re more than happy to advise on them! We’ll give suggested flight times and ways to save once you reserve a spot on the trip. Please check with us before booking flights so we can coordinate your arrival time. If you prefer to have us book flights for you, we can do that for an additional $100. Get in touch for this option. Should I get vaccinations for my trip? There are none required for Cuba. What legal documents do I need to travel to Cuba? You will need your passport, a visa and a tourist card which allows you to stay in Cuba for up to 30 days. We include a tourist card in our price and we can advise on visas. You’ll be getting a suggested packing list ahead of time but we always recommend packing light since we will be traveling to different destinations. Want to meet more positive and adventurous travelers? Join our Facebook community here.